This website is dedicated to all things solar. Here you will find articles on home and RV solar installations, how to articles, books and resources for living the solar life, and reviews on solar-powered gadgets for hiking, camping and everyday living. Solar power is a renewable energy. It’s good for the environment. Fossil fuels are nonrenewable and too environmentally damaging. Going solar helps take the load off the power companies and the burning of fossils fuels. You can also save money on your power bill each month. Each solar panel is made up of Photovoltaic (PV) cells. These cells convert sunlight into direct current (DC) electricity. Then an inverter box converts the direct current into alternating current (AC) that can now be used to power your home or stored in batteries for later use. Your power needs will determine the size of your solar panel grid. Depending on where you live, some states require you to buy a solar panel system, while others allow you to lease the solar panels. Leasing solar panels can be big cost savings. The leasing company will receive the tax credit in exchange for leasing the solar panels. Generally, there are no upfront costs and you can offset your electric bill until the lease is up. Some months when the sun is at it’s most efficient, you may be able to sell your electricity back to the power company. Another benefit of leasing is that the leasing company will maintain and repair your solar system, ensuring that it is running at its optimum performance. Leasing can be a cost-effective solution to get into solar. Buying a solar system can be expensive, but the federal government is offering a 30% tax credit to place solar panels on your home. Many states are also offering tax credits and incentives. This can help to offset the costs. In some cases, you can be completely off the grid and generate and store your own power. There are many great solar kits available that will enable you to power your home using solar. Buying a solar system allows you to own the system and customize it to your needs. If you want to be off the grid, then buying a solar panel system is the way to go. Going solar can be as simple as installing a solar panel kit. Many of these solar kits are DIY friendly and can be installed over the weekend. These kits can be a low-cost entry into going solar. 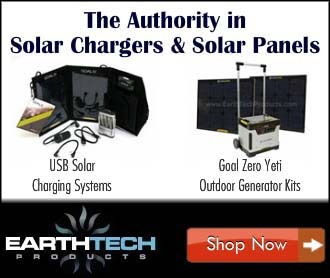 Solar kits are excellent for off the grid living or just to offset your electric bill. Solar power technology and renewable energy are evolving and getting better. New advancements are allowing solar panels to become smaller and more efficient. Renewable energy is the future. Solar and wind is a continuous resource and will never run out. Let’s encourage our government officials to invest more time and resources into allowing companies to develop these new renewable technologies. You can contact your state senator here. Energy from solar and wind could help the planet and eliminate our need for fossils fuels. Renewable energy is the future and could help save this plant from excessive drilling and taxing our natural resources. So let’s all do our part to help keep this planet healthy. Try using solar power today. It can be as simple as a solar-powered speaker, cell phone charger or portable solar system. The biggest impact would be setting up a solar farm or powering your home with solar. Any bit would help to lessen your carbon footprint on the world.